This quilt is composed of nine rows of nine blocks plus one row of script. 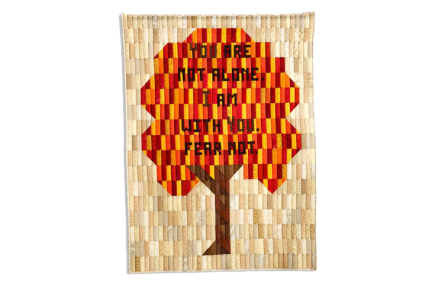 No one block in the quilt stands alone to define the quilt, and all blocks – both the boring and the bright – work together to create the beautiful whole. Of course, the same may be said of painful and pleasant experiences in life. 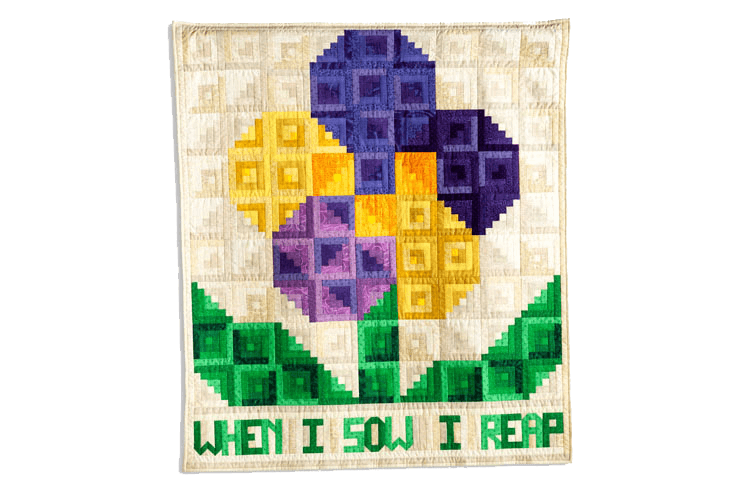 The words on the quilt teach another life lesson as they remind us that it is necessary to sow in order to reap. Additionally, as a quilter it is true that sometimes when I sew, I will also need to rip. But that’s life. Goof-ups happen. I need to keep sowing/sewing just the same!